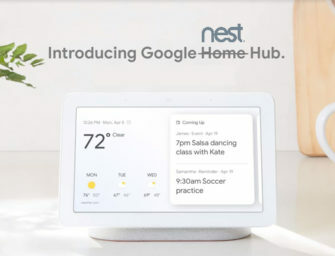 Google Assistant Now Supports 10,000 Devices and Over 200 Million in U.S.
A blog post Tuesday by Google Home product manager confirmed that over 10,000 devices work with Google Assistant. It also highlighted that over 200 million devices in the U.S. can now be controlled through Google Assistant by voice. The new app organizes your devices by room so that you can easily control your speakers, lights, cameras, TVs and more than 10,000 connected devices that work with your Google Assistant. That means there are more than 200 million devices in the U.S. that can be controlled with your voice, many of them already in your home. This is notable in part because it shows that the number of smart home devices supported by Google Assistant has grown eight-fold in just nine months. In January, Google Assistant supported about 1,200 devices and that number rose to 5,000 by early May. Doubling again to 10,000 in early October demonstrates strong growth among third-party manufactures committing to the platform. The rise to 10,000 is impressive, but that still leaves Google Assistant at about half of the device support claimed by Amazon Alexa. An Amazon executive announced at the annual IFA trade show in September that Alexa now supports over 20,000 devices. The numbers are large enough for both voice assistant platforms that consumers are likely to have a choice among nearly any type of voice-interactive smart home device. That statement is not true of consumers hoping to use Siri. Apple’s HomeKit only lists 255 compatible devices today and 82 of those are listed as announced or coming soon, but are not yet available. What this means is that Apple users have limited choice when implementing smart home devices today. Microsoft’s Cortana appears to still have fewer than 100 direct integrations, but that is no longer a constraint. Because Cortana now integrates directly with Alexa, users can access the full range of 20,000+ Alexa integrations through their Cortana voice assistant.